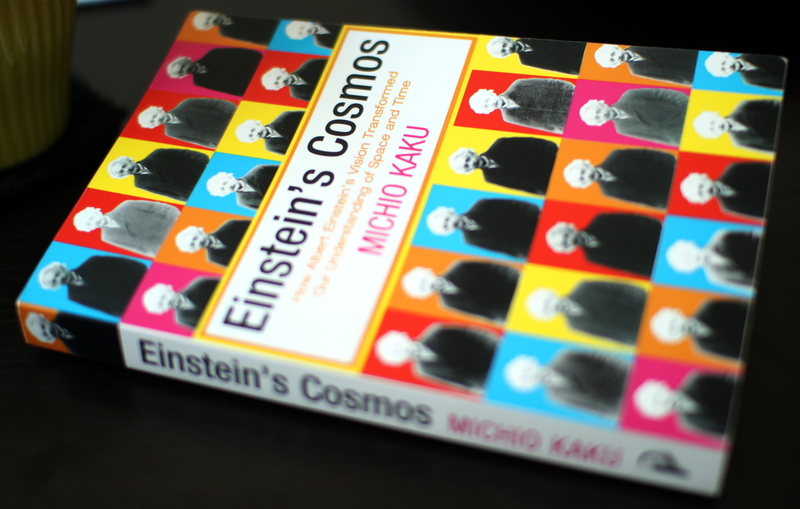 Kaku’s “Einstein’s Cosmos” fits Albert Einstein’s life and work into less than 200 pages of highly readable story that gives insight into Special and General Relativity and also his try to find a Unified Field Theory without going into too much detail about the physics nor about Einstein’s private life… although you can read about Einstein not wearing socks. In general I found it enjoyable and more of a book that’s good as an introduction to Albert Einstein or for getting a historical context for better understanding his work and it ends with some of the more important examples where Einstein’s work had great influence and some of the solutions to Einstein’s equations such as time travel and black holes. Although I’ve previously read some biographies/ books about Einstein’s life and work I still found this quite interesting, although most of it was repeating things I’d already read about, but the writing is just excellent. I seem to have had this book on my bookshelf for ages. I’ve even started reading it twice, thinking “wow, that seems like a good book” and just left it there as I was reading something else at the time. Now I finally had the time to read it. As the subtitle says, it’s about revolutions that one might expect in 21st century science. (The book’s first edition was published in 1997). the topics that got coverage were computers, robots, medicine, quantum physics and space travel. I must say, it was really interesting, although I’m usually not that interested in advances in medicine, then Kaku’s writing was really exciting, I was reading the part about genetics etc last weekend on a bus and I was really sad when I reached my destination without having finished reading it. It was just so good! Also, the future that Kaku predicts for technology and science doesn’t look too bad. Actually I just can’t wait to see it all happen :). Although the book is already 15 years old, then it’s still relevant and definitely a book worth reading even if you’re usually as far from science and technology as can be.